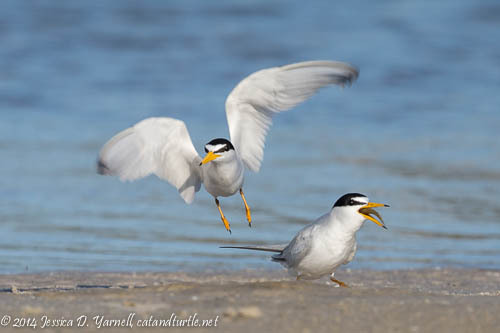 Recently I had a great time photographing Least Tern fish exchanges at North Beach at Fort De Soto. After Michael and I wrapped up with the migrant songbirds, we headed to North Beach for some sunset light and shorebirds. 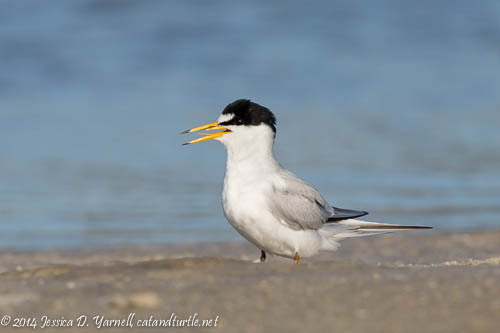 I was hoping that the Royal Terns would do an encore presentation, but they were nowhere to be found. 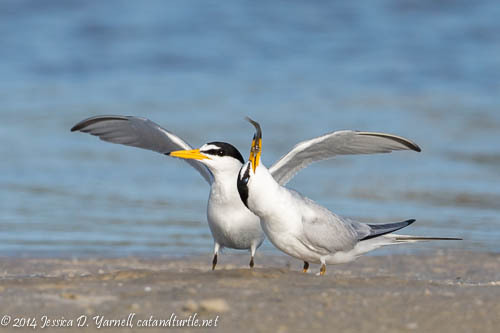 But even better, a pair of Least Terns was fishing in the lagoon area. 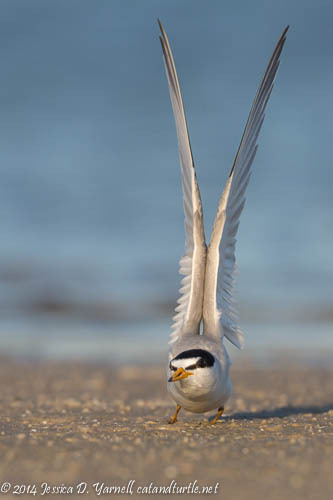 I’ve photographed Least Terns before, but usually after they have babies. 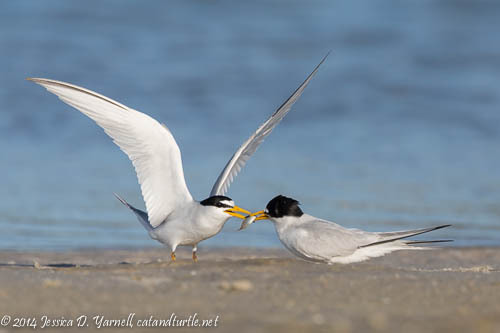 It was fun to photograph the courtship phase of their relationship. One bird, I think the female, stood on the beach calling. When she got really agitated, it was a clue that her mate was about to bring in a fish. A few seconds and a couple of wing flaps later, the male was handing her the prize. I’m not sure what kind of fish it was, but it seemed surprising big given that she swallows it whole! Her mate didn’t wait around for her to swallow. Before the fish disappeared down her throat, he was flying off to grab another fish. They repeated this little ritual several times. I was hoping they’d follow it up with a “piggyback ride” (yes, this is a family-friendly blog!) But they didn’t.